Tona is using Smore newsletters to spread the word online. I'm excited to announce that our awesome PTA continues to provide outstanding support for our campus! They are replacing our current Cannon marquee (vintage 1960's) with a new, high-tech digital marquee! 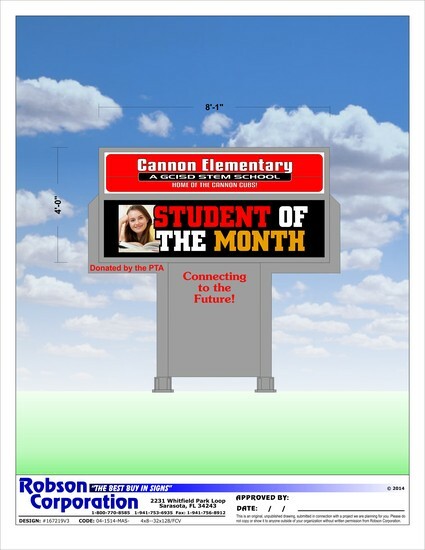 Our new sign will have full color video (LED) display for electronic messaging, which will allow us to significantly improve communication with our Cannon families and the community. This generous donation for our school will be on the May school board agenda for approval. It is scheduled to be installed during the summer, so that when we return for the 2014-2015 school year, we can welcome everyone back in style! I have provided a photo rendering below of what our new digital sign will look like. Be sure to let our Cannon PTA members know how much we appreciate all that they do for our school! Since April showers don’t fall indoors, students have been designing and building indoor watering systems for their May flowers!! 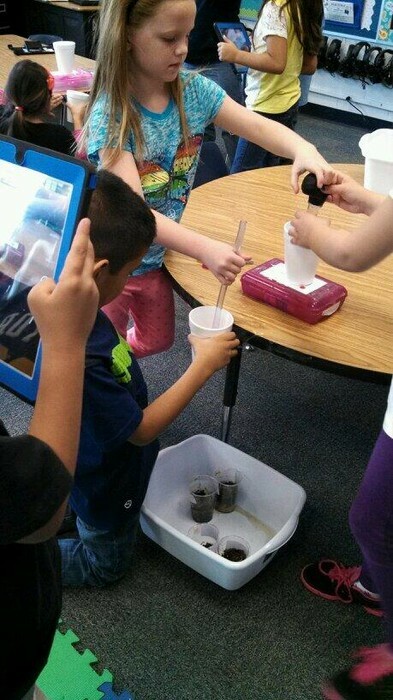 Be sure to check out our first grade engineers exploring which watering system can move water the best. 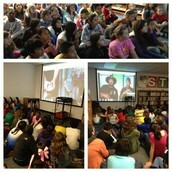 5th Graders Skype With The Gator Boys! 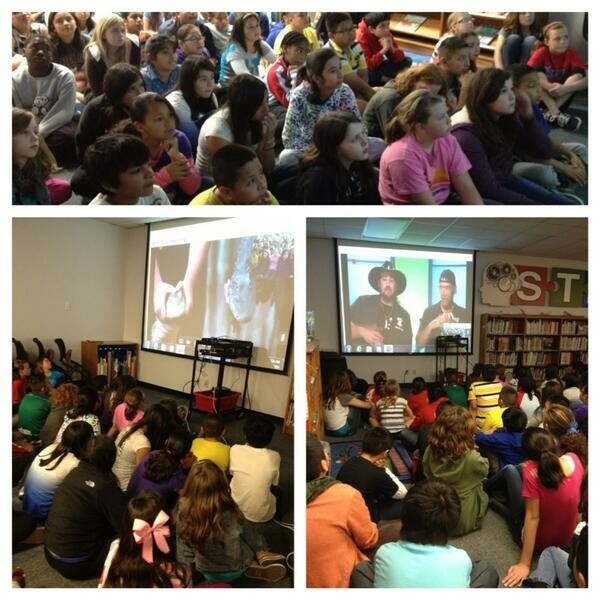 5th graders had a great opportunity to Skype with the Discovery Channel's Gator Boys last week! Their best tip? "enjoy gators from a distance & carry a stick" . However, there were lots of opportunities for Cannon 5th grade scholars to make science connections as they learned about inherited traits, adaptations and conservation of habitats. 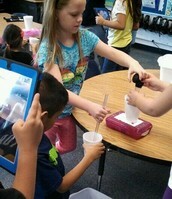 What a great way to reinforce these concepts in a fun and engaging way! 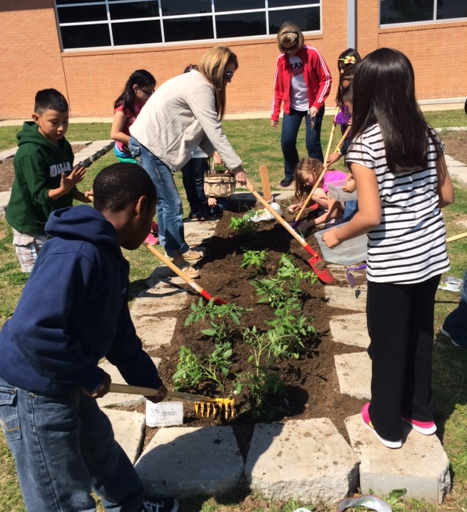 3rd graders took advantage of the beautiful spring weather last week and took their learning outdoors, as they planted their Salsa Garden! These scholars have been busy prepping their garden bed by composting during the winter. Their garden is sure to produce delicious salsa with their tomato, pepper, cilantro, and onion plants. Looking forward to a yummy snack day with chips & salsa, compliments of 3rd grade! Great work! HATS OFF TO CANNON STAFF MEMBERS! Tina Berumen has been selected as the Elementary Lead Librarian for GCISD for next year. Patrick Lollis has been selected to participate on GCISD's VALOR Leadership Team next year. Way to go Tina & Patrick! Thank you for your dedication to providing leadership for our school and the district. We are fortunate to have you both on our campus team! 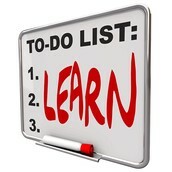 Check out the newest resource for Professional Development offerings below!! Below are some upcoming opportunities for professional development sessions that you will want to check out as you are completing your PLP's for your upcoming summative conferences with Anne & Tona. Check the staff newsletter each week for updated professional development offerings!! Be sure to check out GCISD'S EdCamp opportunity just for GCISD teachers on June 10th from 8:30-3:30! Our staff S.T.E.M. 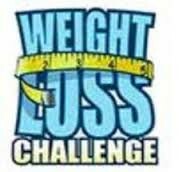 (Stay Trim, Exercise More) participants continue to stay strong in their weight loss efforts during Week #3. 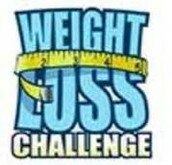 During this week, all participants lost an additional 20 pounds collectively! Keep up the great work and good luck to all S.T.E.M. participants! Click here for Dr. Oz's Best 100 Weight-Loss Tips! REMINDERS FROM FACILITIES - Please take a moment to review these notes from Facilities Services about wall coverage. If you have any questions, please ask Tona or Anne. Thanks! PARENT SURVEY FEEDBACK REMINDER - Each team needs to meet to review & discuss the survey results together. As a team, please provide your feedback & suggestions on the Staff Feedback form. I have provided a link to this form below. Each team's feedback needs to completed by Friday, May 2nd. If you are part of support staff, (reading specialist, ASPIRE, counselor, librarian, nurse, technology, etc...) please plan a time when you can meet together to complete this required activity. I will add feedback from our CEC to the document after our meeting this week. Instructions for how to complete the feedback form are provided on the form. RACHEL'S CHALLENGE INFO - Please help us promote the upcoming Rachel's Challenge Rally in all of your parent communications. 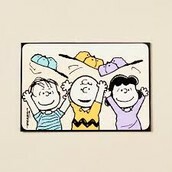 Click here to access a flyer to use on your blogs & websites! PDAS & SUMMATIVE UPDATES- Please remember that all staff appraised through PDAS must complete Sections II & III of the PDAS Teacher Self Report, prior to their scheduled summative. 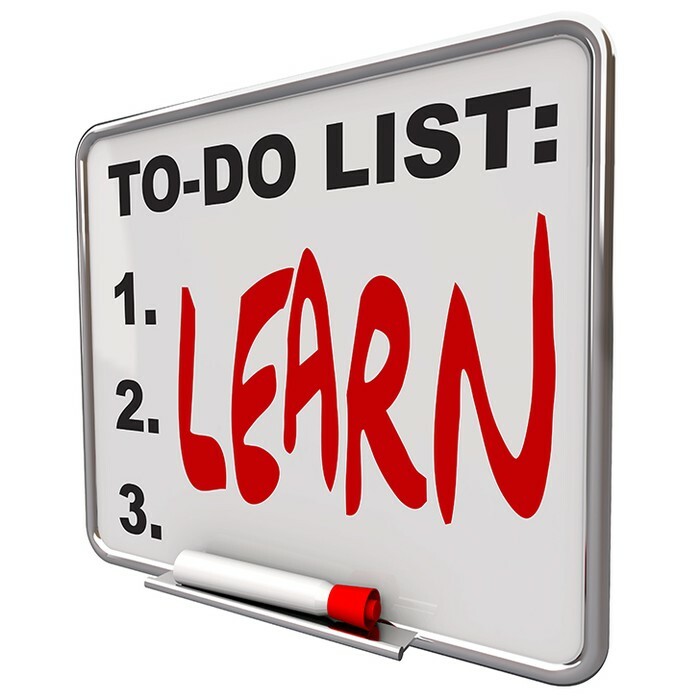 Also, be sure to save your completed PLP documents and documentation of professional learning throughout the 2014-2015 school year in the folder sent to you through an email link to Google docs. You will need to click on save a copy, in order to save it to the folder. I wanted to update you on some upcoming changes to GCISD's Pre-K program. Below are some details about these changes that will take place next year. GCISD will begin a partnership with Child Care Associates (Head Start) to offer a full-day program at TES, CAN, and SLES for eligible students. GCISD will continue to offer a half-day program for students that do not qualify for the Federal Head Start program. The new GCISD Language Assessment Center to assign Pre-K students to the most appropriate campus. 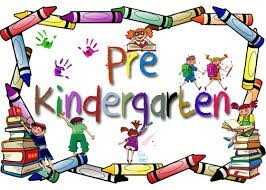 All Pre-K students will register in July. ** Note that with the addition of full-day Pre-K students at Cannon, we will be assigning a classroom to the Head Start teacher hired for Cannon. Also, lunch schedules will need to accommodate full-day Pre-K students. The long-term goal for the GCISD Pre-K program includes offering a full-day schedule to eligible and tuition-based students housed in an early childhood facility. Create and implement a professional development plan designed to improve the instructional practice in Pre-K classrooms. Develop a Pre-K standards-based report card and assessment plan. Increase Pre-K enrollment with additional communication efforts and a Pre-K registration event in July. Enter a partnership with Child Care Associates (Head Start) increasing our contact time with eligible students to a full day. Create a tuition-based Pre-K program with a partner organization providing the facility. Explore options for providing transportation to eligible Pre-K students. Increase the tuition-based Pre-K enrollment. Merge the eligible Pre-K program with the tuition-based program. The revenue from the tuition Pre-K program offsets the cost of providing a full-day Pre-K program for all eligible students. Open a GCISD early childhood facility consolidating the ECDC, PPCD, tuition Pre-K and the eligible Pre-K program. Eliminate the Child Care Associates partnership and partnership with the organization providing the tuition-based facility. No time to follow tweets from staff this week? Check them out here! Great job tweeting about the great things going on at Cannon! Keep up the good work! Megan Pettit ‏@MeganPettit22 Apr 17. @FrontRow gave me the entire math iPad program aligned to #commoncore, for free! They also gave me 5 invites - msg me if you want one! 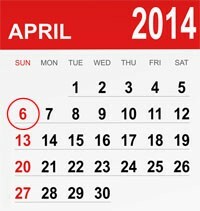 Set a timer and turn in attendance by 9:45-10:15 daily. 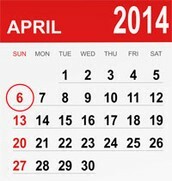 Continue to collect remaining Student Plans for Next Year forms from students. Give High 5's, Hugs, & Handshakes to 3rd, 4th & 5th grade scholars to encourage them for STAAR testing on Tuesday & Wednesday! Review Anne's reminders for STAAR testing this week. Weigh-in for the staff S.T.E.M. Challenge with Nurse Kendra! Tweet throughout the week to share the great work going on @ Cannon!